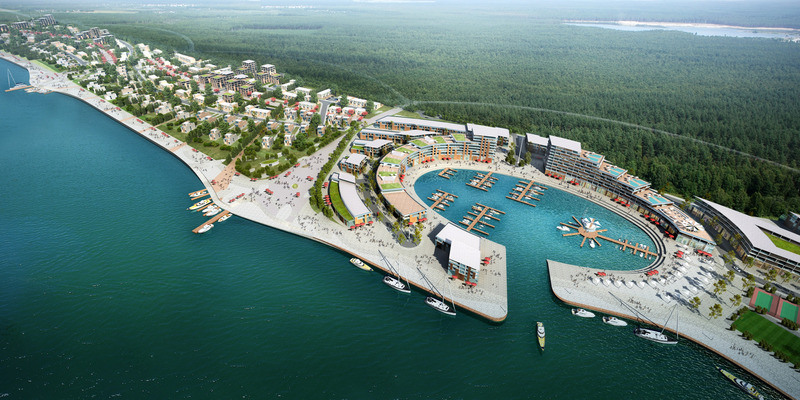 eastconsult was appointed as cost consultant for the project Tver Marina in 2013. The complex is located on the Volga River, just 4 kilometers from the city of Tver, and encompasses approximately 56 hectares along a river front of 2,1km. Tver Marina Village is a unique lifestyle resort destination around a 120-berth marina, a 200-room Hotel & Resort with extensive conference and banqueting facilities, a state-of-the-art Country Club & Spa, and the Promenade – a high-street waterfront offering a wide selection of stylish shops, themed restaurants, and various entertainment and leisure outlets. eastconsult's task was to create a detailed cost estimation model for the projected construction works. We did this by developing a project-specific works breakdown database, estimating quantities from preliminary architectural drawings and investigating unit rates in accordance with the local market at the time. The model allowed the Investor and the architects to play through various cost model scenarios, and chose different materials, equipment and finishes. By application of this process, areas for significant reductions in costs were identified including the alternation of finished land levels for the project (thus creating enormous savings in earthworks). In total, savings of EUR 100 Million were identified. The results formed the basis for the Investor to apply and receive financing for the project. Moreover, employing the services of eastconsult as the professional cost consultant for this project enabled the investor to split the project into various economically viable stages and keep borrowings to a minimum, optimizing early returns on investment and keeping the financing for the total investment on a reasonable level.